Charlotte Cantrell is always the baker; never the bride. When Will, a regular at Charlotte's bakery, catches her attention, she can only hope that he is the reliable man this single mother has always hoped to find. The problem is that he's regularly stopping in to buy cookies for another girl. 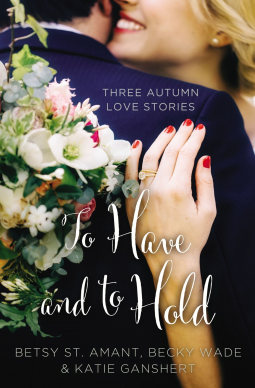 But when Charlotte is hired to bake a host of wedding goodies for a difficult bride and finds out Will is the best man, she has the perfect opportunity to get to know him better—and find out how serious Will is about this other girl in his life. be interested when he learns who she is? from the beginning. Normally I have a clear favorite in these sorts of compilations but I truly loved all 3 of these. reading a nice love story.